From the Tribal Theory collection by Scott Living. 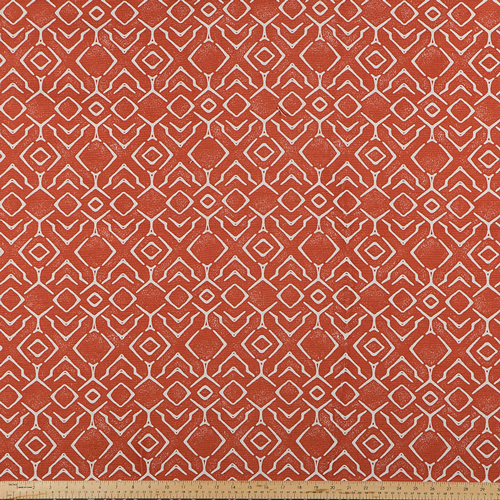 Abydos Reflection Orange Belgian home decorating fabric. Suitable for drapery, decorative pillow covers, crafting, headboards or upholstery. Made in the USA. Heavyweight fabric (12 oz).